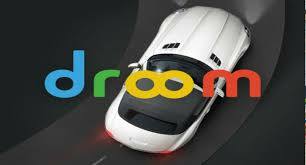 Droom, India’s largest and pioneering online automobile transactional marketplace, achieved another milestone on its stellar journey of transforming automobile transactions with its automobile health evaluation tool ECO crosses 50,000+ inspections till date since its inception in March 2016 and aiming to cross 750K inspections in 2019 which is 15x jump. To mark the occasion, Droom also launched a highly innovative, convenient and uniplug-and-play play IoT enabled ECO Smart device that connects with a car’s OBD II port, integrates with the car’s sensors, hardware modules, data transmitters, control units and allows one to track their performance, health, and damage factors. ECO is the most scientific, comprehensive as well as unbiased inspection and verification service in the country providing a thorough 121+ point auto inspection for used vehicles. Out of the 50,000 inspection queries, 45% were generated from Delhi-NCR, while the rest came from more than 100 cities across India. In terms of category breakup, 56% and 44% inspections were done for four wheelers and two wheelers respectively. With the launch of the ECO Smart Device, this demand is expected to grow much higher, and at a more robust pace. The device scans through more than 1000 sensors (checkpoints) to monitor the engine health of any vehicle. At present, Droom is successfully running a pilot of this device in Delhi-NCR and has plans to soon expand its operations across the country. “The Internet of Things (IoT) is breaking fresh ground in the automotive sector by introducing entirely new layers to the traditional concept of car servicing. With the ECO Smart Device, we look forward to offering more convenience, transparency and accuracy about the engine health of a car, which is an important factor influencing the customers’ buying decision,” he further added. With a geographical reach of 150+ cities across the country, Droom’s ECO Inspection Service has over 1400+ certified inspectors on its platform. In just a short span of time, ECO has paved its way to become one of India’s leading doorstep inspection service.